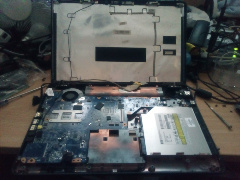 Laptop and computer repairs onsite at your home or business premises. Many software based repairs can be completed onsite. Hardware repairs or replacements may require workshop time. For example, when operating systems need re-installing including all updates and data recovered and restored to new hardware. 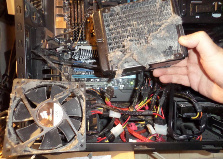 Computers running slowly can be cause by viruses installed on the computer or laptop, but can alao be a sign of protential hard disk failure. From the early days of Windows 3.1 to XP, Windows 98, Vista, Windows 7 and 8/8.1 to the new Windows 10, repaired and upgrades to laptops and desktop computer. Dr Jerry is DBS (formly CRB) checked and Certified updated January 2019 & HMRC Registered & Business Insured including public liability. Designed by Dr Jerry Computer Engineer 0781 43 42 441.